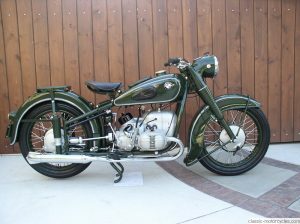 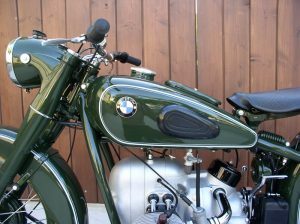 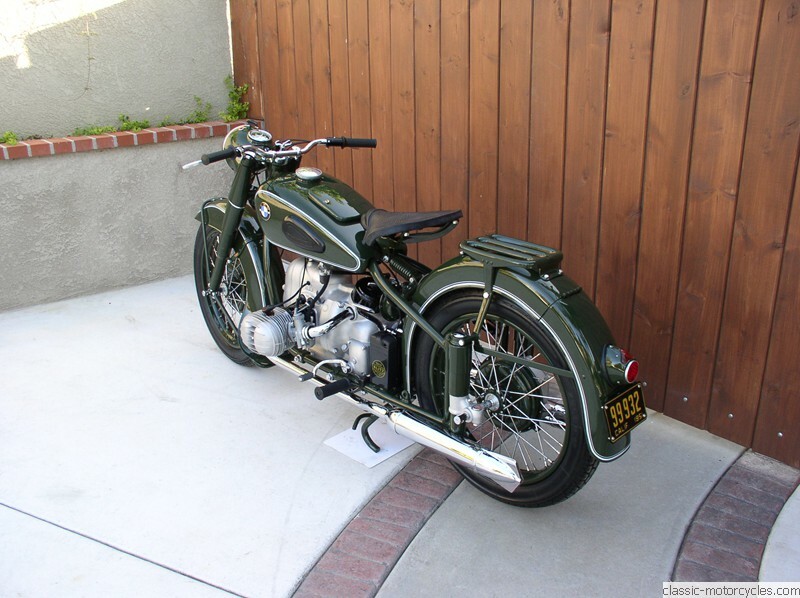 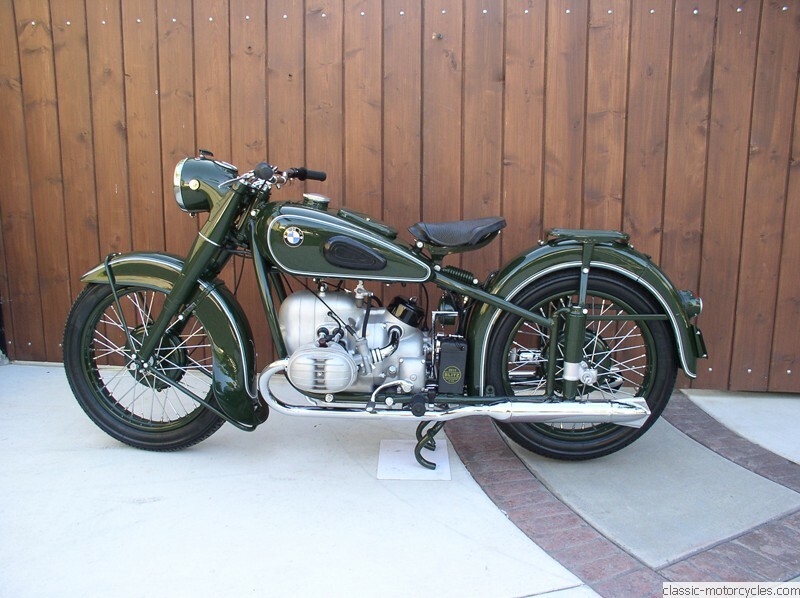 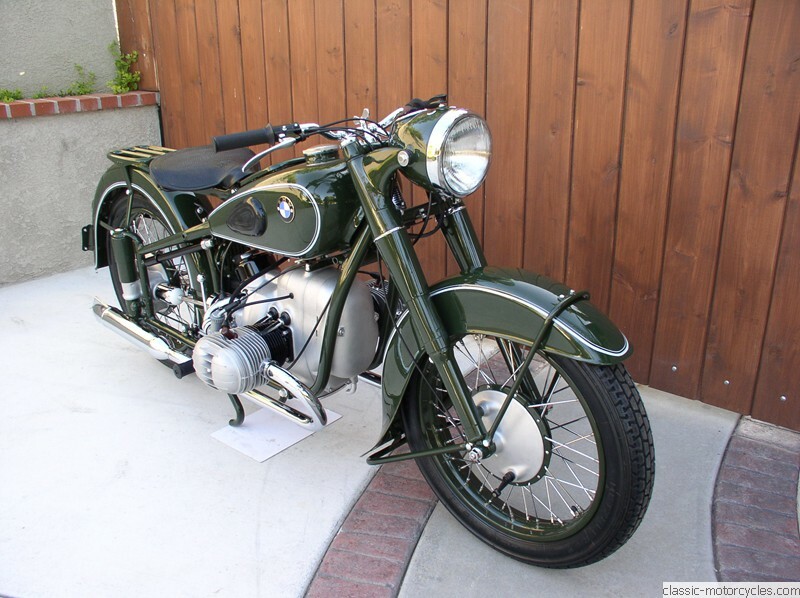 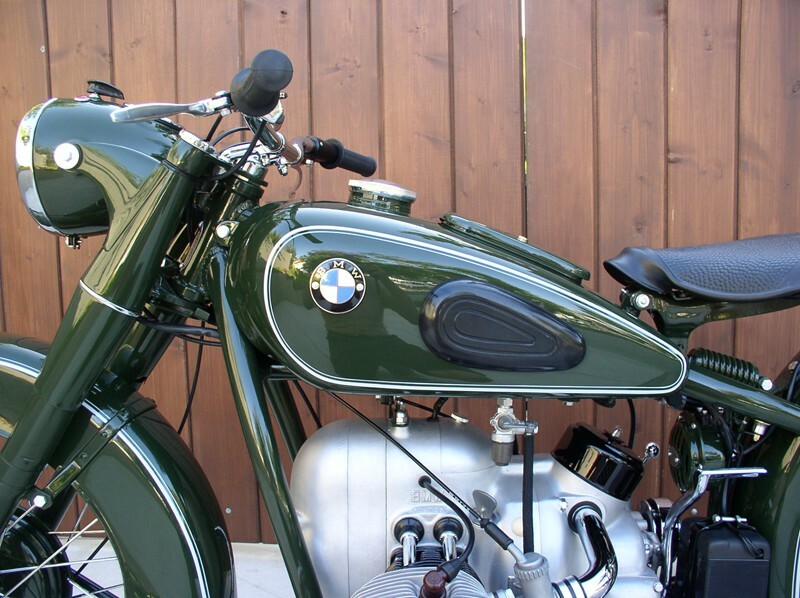 The R51/3 was BMW’s second post World War II 500cc motorcycle. 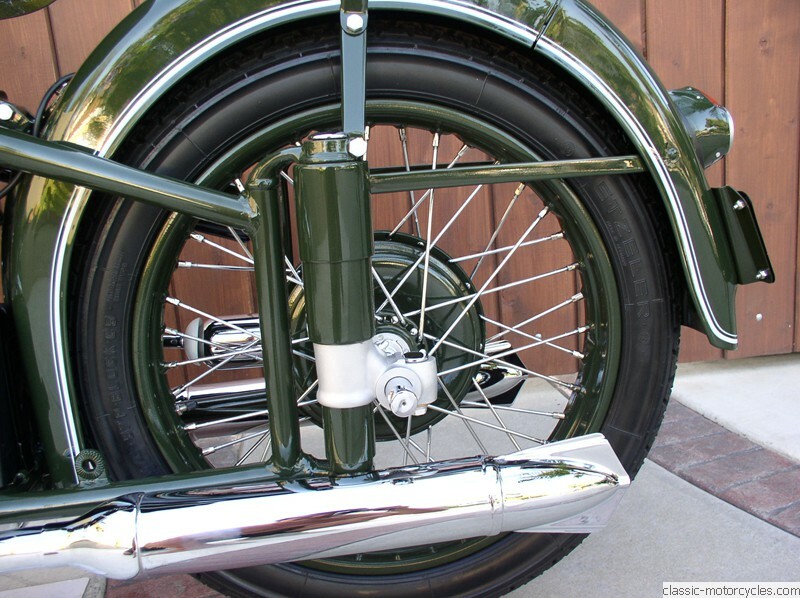 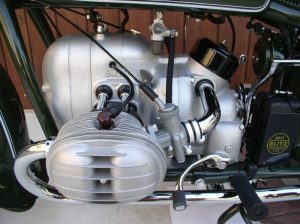 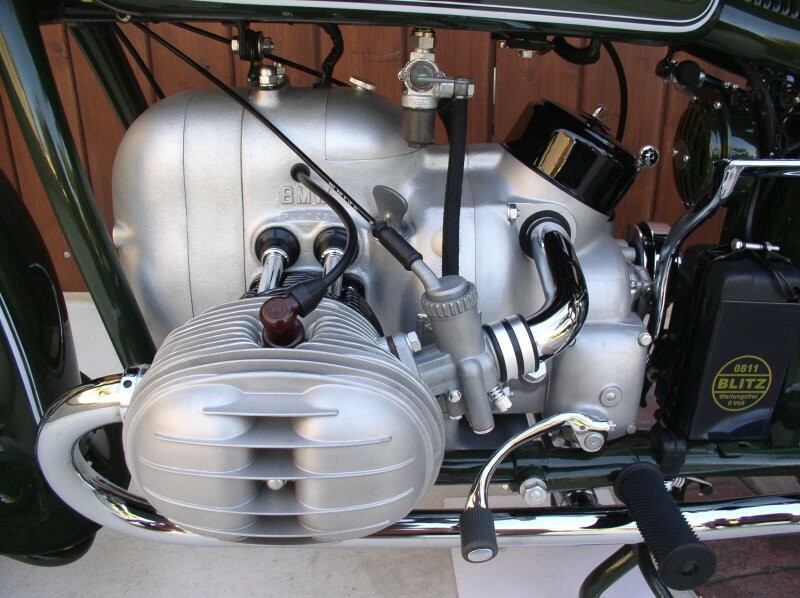 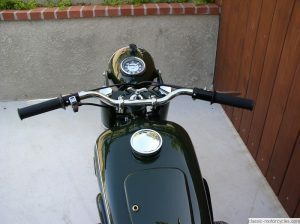 It featured a flat twin engine and exposed drive shaft. 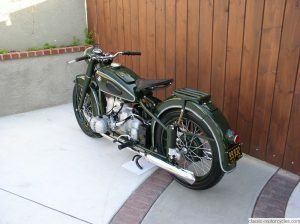 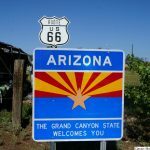 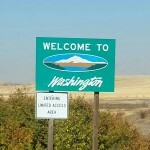 It was in production for four years from 1951 to 1954. The German police also used the BMW R51 series beginning with the /2 model, however after less than a year they were replaced by the more modernized R51/3. 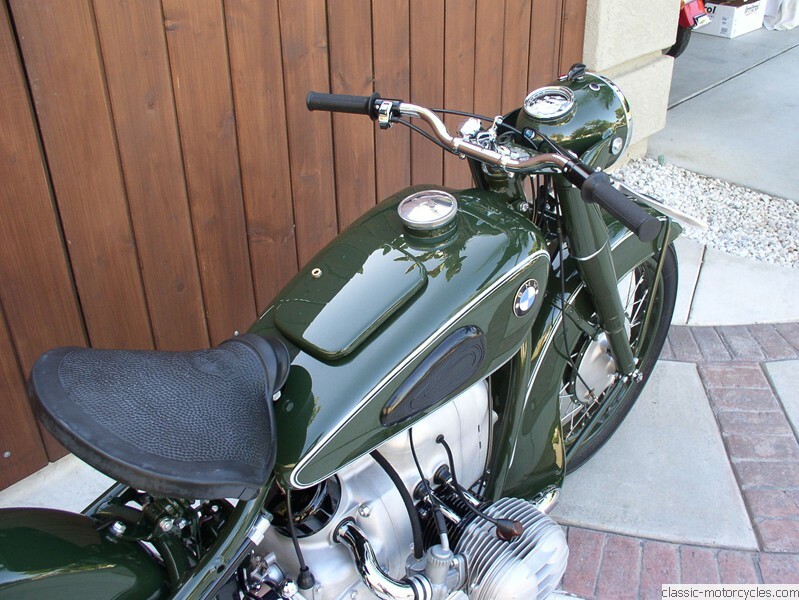 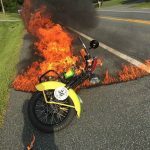 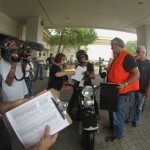 When the current owner purchased the motorcycle it was painted white. 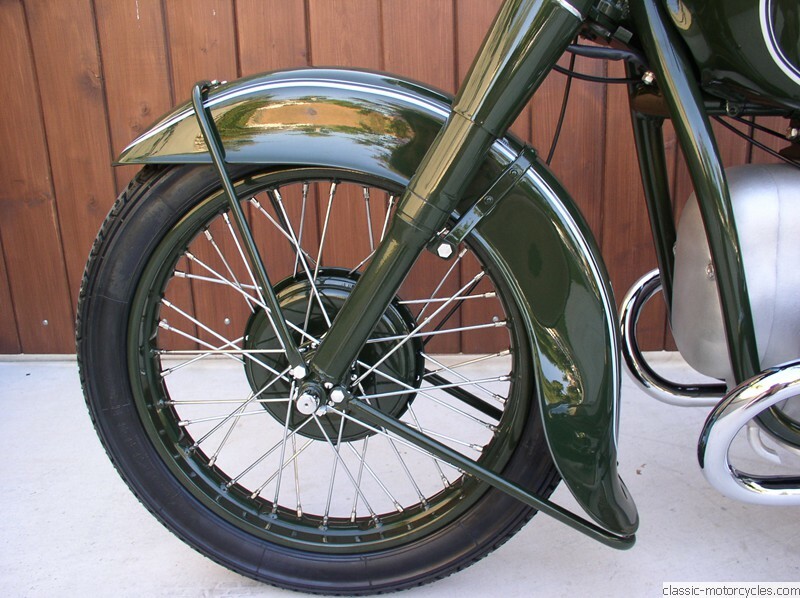 During the restoration process we discovered the original police-green paint on the frame. 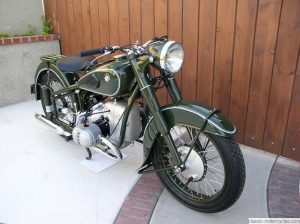 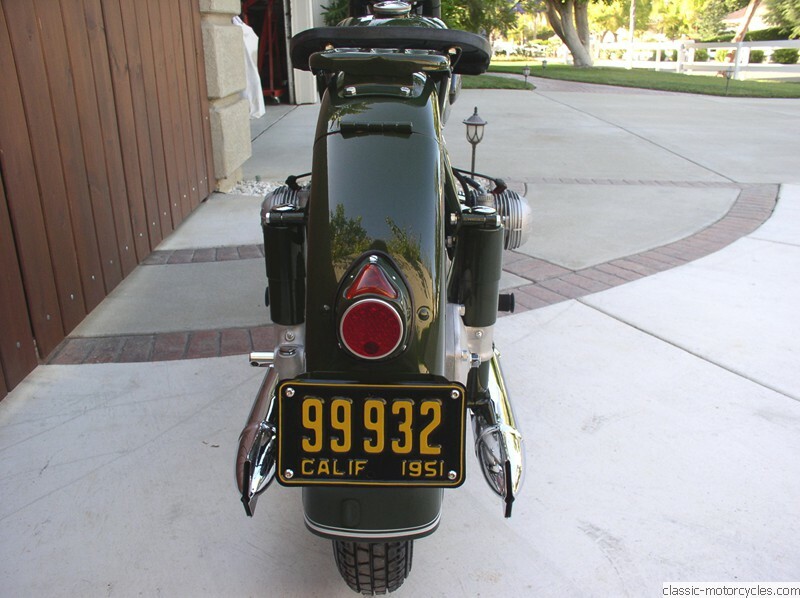 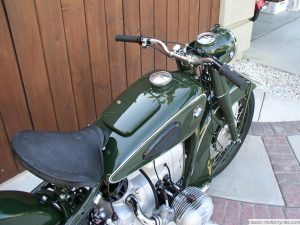 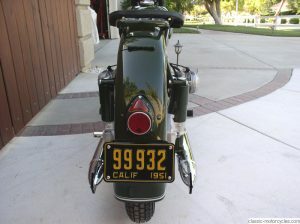 Additional research showed this R51/3 was, in fact, a former German police motorcycle. 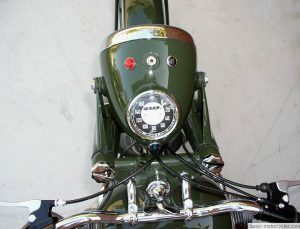 The photo at the bottom of the page shows it in use by the “Berliner Polizei”. 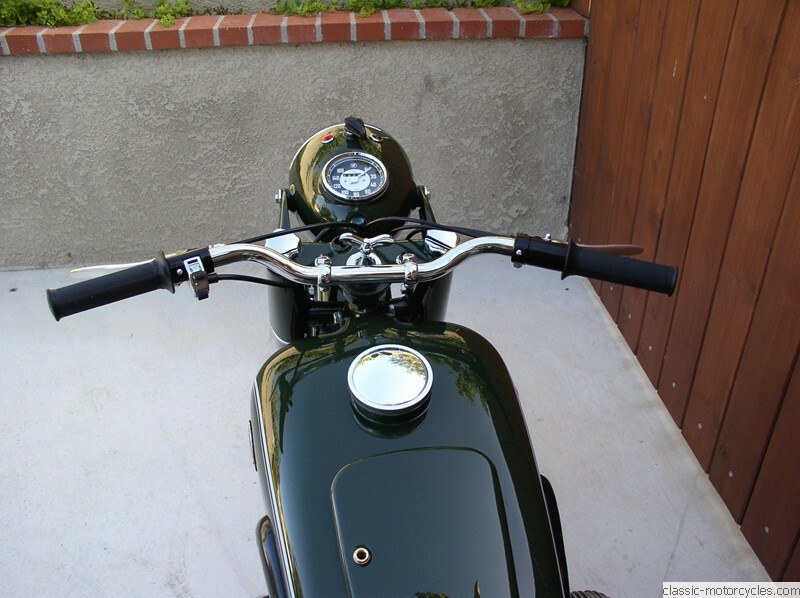 This bike was restored by Ziggy in the Spring of 2013, and it placed third at the Dana Point Concours d’Elegance at its first showing. 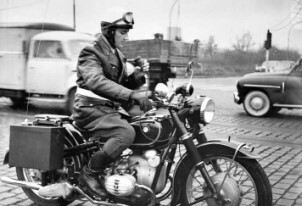 BMW R51/3 in use by the Berliner Polizei in the early 1950s.